Every Sunday my fellow small group leader and I bring a snack for our second graders to enjoy in our Sunday School class. 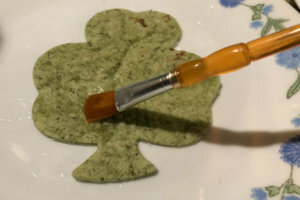 Because it was St. Patrick’s Day, I thought we might make the snack a little more fun than usual. 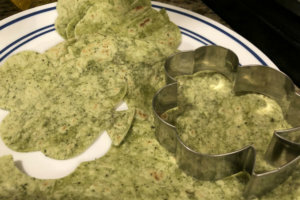 I wasn’t looking for anything overly sweet, so I started searching for St. Patrick’s Day appetizer recipes. As soon as I saw these homemade rainbow shamrock chips, I knew we had a winner. The recipe looked fairly easy, and I already owned a shamrock cookie cutter. I wasn’t sure we needed to do every color of the rainbow for a simple Lenten Sunday School activity. Then it occurred to me that you can buy green spinach tortillas. 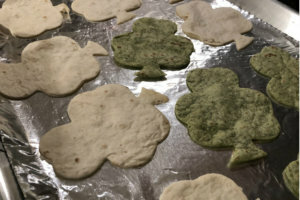 So I found spinach, sundried tomato, and ordinary white tortillas, and set to work with the shamrock cutter. I quickly learned that cookie cutters are designed to cut cookie dough, not tortillas, but I was determined. In the end, even if it required a little more elbow grease than expected, the process didn’t take that long. If I had been able to sell any of the local leprechauns on helping me, the whole endeavor would have been a breeze. You stir a little salt into a cup of water, cut out your shapes, paint them with the salted water, and cook them for 7-8 minutes on a greased cookie sheet. It was definitely one of the easier recipes I’ve taken on. I thought the shamrock chips were quite tasty and fresh, but my sons weren’t as enthusiastic. Some of our students ate them and asked for more. Others weren’t as excited. But that can happen with a group of second graders. 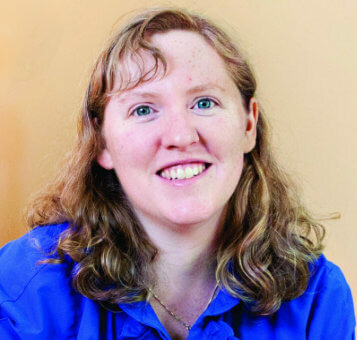 I’m fairly sure we all enjoyed learning about St. Patrick and St. Brigid and how St. Patrick used the shamrock to teach people about the Holy Trinity. A few of the students even tried some of the guacamole I made. Everything tastes better with guacamole. 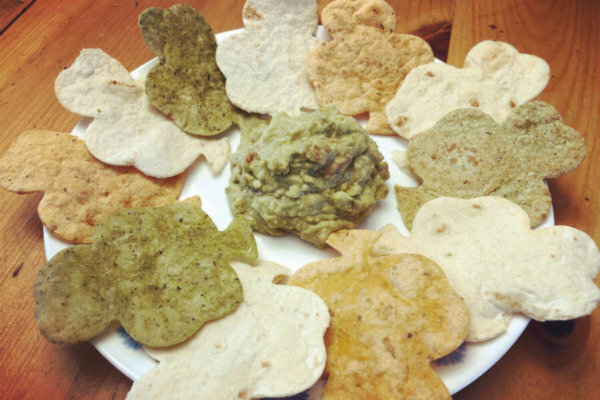 I would definitely make the chips again using other shapes. My mind is already racing to the next holiday or special occasion. Here is the recipe. Hope you had a wonderful St. Patrick’s Day!